behind mommy lines: Commence the Toddle! I am not exaggerating, folks! 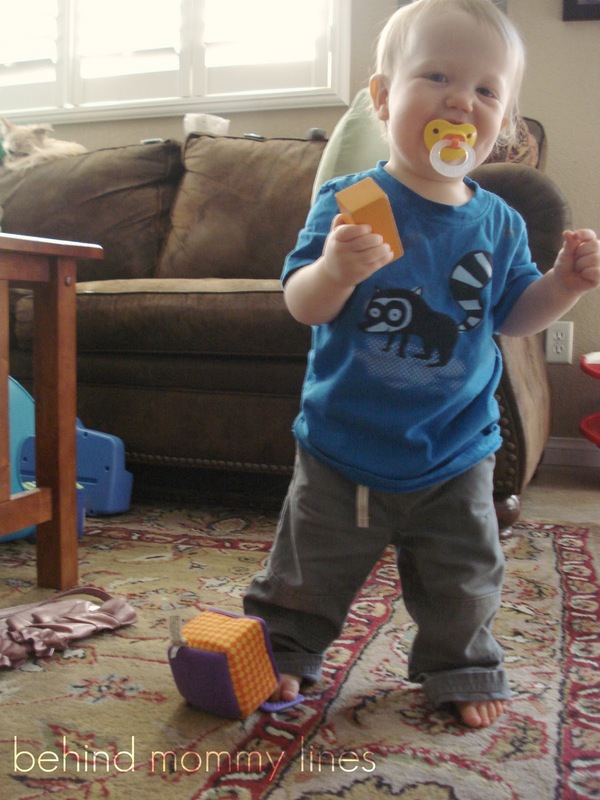 Before Little Man's nap yesterday, he had taken one or two real steps. He cruised along the furniture handily, but refused to let go and take the walking off road. I don't know what happened to him during his nap... but somehow he just flipped a switch and started walking all over the house! The entire evening! Well, all evening until Uncle Trent came over and I gushed about how Little Man had reached this gigantic milestone. From then on as soon as Trent would turn his head, Little Man would drop to the floor- like a secret agent avoiding the enemy. This made my little brother quite suspicious of my overall mental health- I'm sure. Now I need to get in shape for all the chasing I am inevitably in store for. I know isnt it great- especially for you!!! haha!! ours is Lacie preganat and not pregnant- I do not look the same- lol! and yay little man! !